A 45 year old male with poorly controlled DM presents with bilateral vision loss. His right eye vision acutely worsened 3 days ago with the sensation of a curtain moving back and forth across his visual field. Today his left eye vision acutely worsened with flashes and floaters occurring. He denies any trauma, headache, or new medications. A bedside ultrasound of the orbits is performed, what is the next best step in management? The ultrasound clips demonstrate hypoechoic material in the orbits bilaterally, swirling around with subtle eye movement. This is consistent with bilateral vitreous hemorrhage. The diagnosis was discussed with the patient and he was referred to ophthalmology clinic for dilated eye exam in 24 hours. Place a tegaderm over the eye (optional). If you do, ensure there is no air between the tegaderm and the eyelid. Place the ultrasound gel on the tegaderm and prepare the linear probe with the gain turned almost all the way up (this will help you visualize both retinal detachment and vitreous hemorrhage. Stabilize your hand on the patient's nasal bridge or zygoma, with the probe marker to your left, and place the probe transverse on the orbit with minimal pressure being applied directly to the eye. Adjust the depth to ensure the optic nerve is just visualized at the bottom of the screen. The anterior chamber and lens should be used as visual landmarks to ensure you are in proper location. Next, have the patient look up, down , left and right (oculokinetic echography), to assess for any abnormalities in the posterior aspects of the eye. Repeat this technique with the probe marker pointed superiorly and have the patient again look in all directions. Retinal detachment: The common POCUS findings include a thin linear structure tethered to the optic nerve. It flaps back and forth as the eye is moved giving it the appearance of “swaying seaweed”. This is an ophthalmologic emergency, especially if the macula is still attached, the ophthalmologist should be immediately consulted. 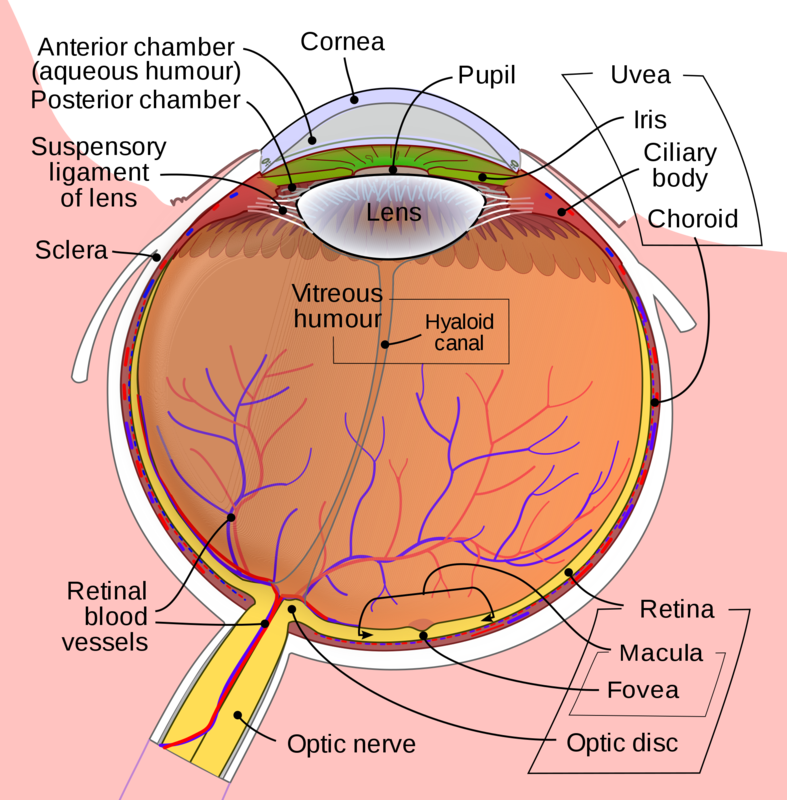 Vitreous hemorrhage: You will notice a diffuse mobile opacity often described as a “snow globe” that is exacerbated with moving the eye from side to side. If this is seen in a diabetic patient with floaters, there is a high likelihood that the diagnosis is a vitreous hemorrhage. These patients will still need follow up with ophthalmology for further management, but typically there will not be an emergent intervention. This post was written by Sam Frenkel, MD, PGY-2 UCSD EM. It was reviewed by Michael Macias, MD, Ultrasound Fellow at UCSD. Yoonessi R, Hussain A, Jang TB. Bedside ocular ultrasound for the detection of retinal detachment in the emergency department. Acad Emerg Med. 2010;17(9):913-7. Kilker B, Holst J, Hoffmann B. Bedside ocular ultrasound in the emergency department. Eur J Emerg Med. 2014;21(4):246-253. Shinar Z, Chan L, Orlinsky M. Use of ocular ultrasound for the evaluation of retinal detachment. J Emerg Med. 2011;40(1):53-57.